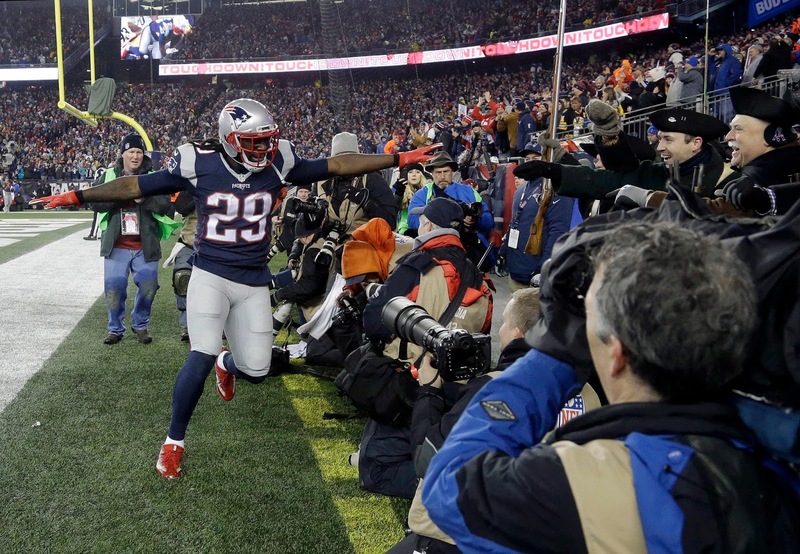 What will happen to the Patriots' free agents? It seems odd, but the Patriots actually rank sixth in the NFL for available cap space going into the offseason, with just over $62 million free. So, where will they spend all that dough? 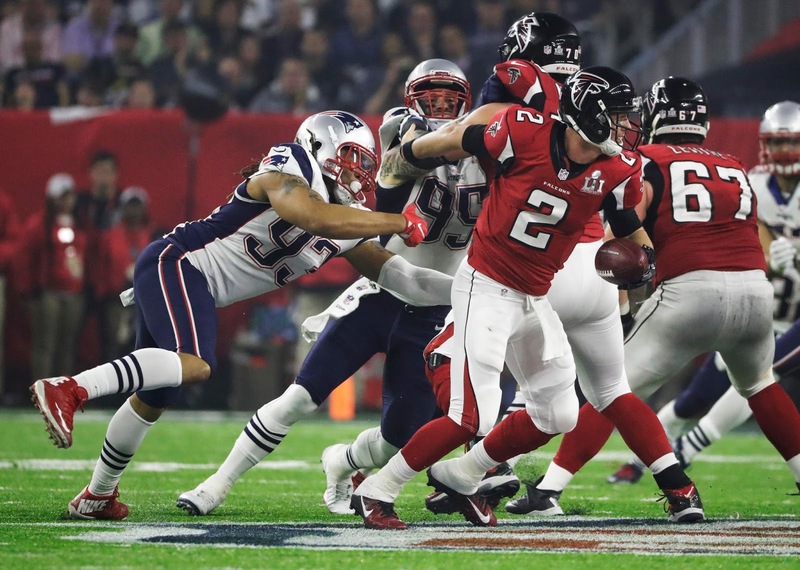 For starters, the Patriots have some of the biggest names on the team about to hit free agency. Dont'a Hightower, LeGarrette Blount, Martellus Bennett, Jabaal Sheard, and Logan Ryan are all unrestricted free agents, while stud corner Malcolm Butler is a restricted free agent. Those are just the highlights: in total, the Pats have 15 players, or about 33% of their active gameday roster, primed to leave. And while the names above might command the big bucks, New England should try and keep some valuable depth contributors in the fold for the next couple of years as well. Bill Belichick is notoriously afraid of doling out big deals to anybody, but there are two big players here that might change his mind: Hightower and Butler. 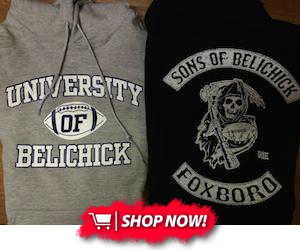 The two are the centerpieces of Belichick's defense, and there's no chance in hell that both of them will hit free agency. 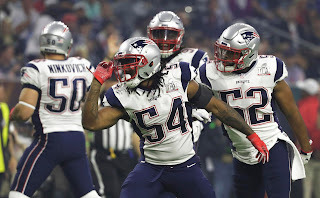 Since Butler is a restricted free agent, meaning the Patriots can match any offer another team puts out for the corner's services, Hightower should be the first priority. By all accounts, expect him to sign a deal in the 4-5 year, $40-50 million range, with around $20 million of that guaranteed. If the former first-round pick won't accept those terms, expect Belichick to hit him with the franchise tag to buy more time to work out a long-term deal. 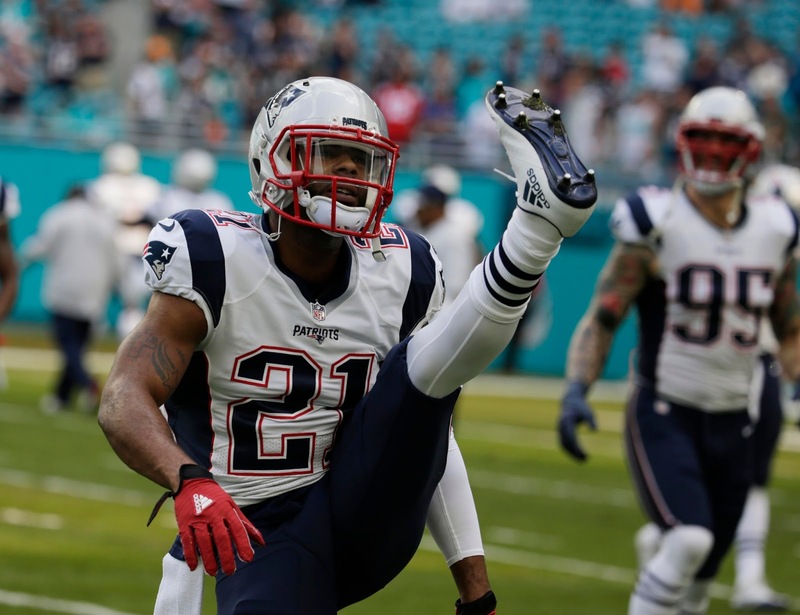 After the Alabama linebacker is signed, it's on to Malcolm Butler. The former undrafted free agent has made quite a name for himself, parlaying Super Bowl fame into a starting gig and earning a reputation as a lockdown #1 corner. And if there's one thing Coach B loves, it's having a chess piece to instantly neutralize any opponent's top receiving weapon. Add to that Butler's unmatched passion and work ethic, and you can see why he stuck in Foxborough in the first place. The smartest strategy for the Pats here might be to see what other teams offer Butler, then either submit their own offer or match the competitor's offer to keep him in New England no matter what. Wherever he ends up, the young star should earn about $12-15 million a year or more for anywhere from four to six years. Once Hightower and Butler have been dealt with, the next step is to lock up second-tier free agents, like Martellus Bennett, Logan Ryan, Jabaal Sheard, Duron Harmon, Alan Branch, and James Develin. 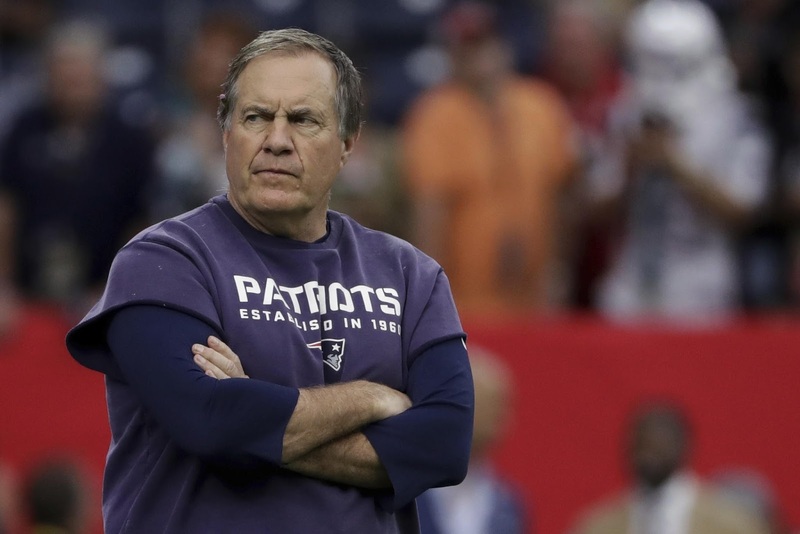 While these players might not be in line for long-term deals, like Hightower and Butler, Bill Belichick will most likely keep most of them around for another two or three years. For Bennett, expect a two-year deal in the $15-18 million dollar range (assuming he doesn't get the franchise tag), while Sheard and Branch might nab $12-14 million two-year extensions as well. For younger contributors, like Ryan, Harmon, and Develin, look for Belichick to lock them up for the next three or four years. They might not all come cheap, but around $7-10 million a year should be fair for Ryan, while Develin and Harmon are more in the $4-7 million annual range, give or take. Finally, special teams contributor Brandon Bolden could parlay his success into a two-year extension worth around anywhere from $2-5 million. A lot of factors play into this section, but age, lack of experience with the Pats, and off-field concerns are the biggest ones. For example, Chris Long might not be resigned, since he's coming off a mediocre year and will be 32 when next season begins. LeGarrette Blount should get another one-year deal--he's produced great, but New England will be hesitant to sign him for multiple years thanks to his age. Others, like Malcolm Floyd and Barkevious Mingo, just haven't seen enough meaningful action with the Pats to earn another big deal. Mingo has contributed on special teams, which could earn him a new "prove it" deal, while Floyd's contributions in the two games he played could secure him another one-year deal as well, as long as it's cheap. 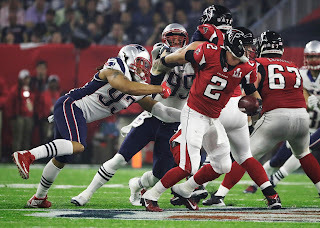 What are your thoughts on the Pats' free agents this offseason? Any surprise cuts or big deals? Let us know!